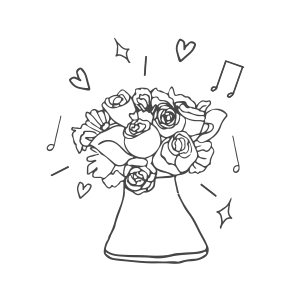 Flower Bar — hello flowers! A curated flower space that is all about the therapeutic experience and individuality. Get your hands moving at our flower bar!! 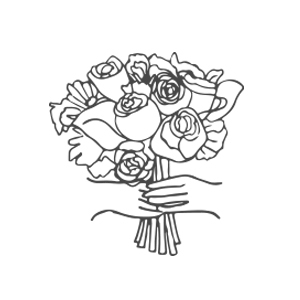 You get to design and customise your very own bouquet - from the vessel to the flowers. No better way to make your bouquet extra special than to craft it according to your taste, budget, and even the sentiment that you want to convey to your recipient. What's more, we will provide all the necessary materials (i.e. flower shears, twine, etc) and let you arrange it yourself or bring it back home to arrange it at your own pace, in your leisure time. Fret not, our friendly floral elves will also be around to put it together for you! PS: You can bring also your own vessel and we will arrange it for you at no extra cost! Get your dose of potpourri at our flower bar which you can do-it-yourself too! We provide a range of dried petals, blooms, and organic scents for you to choose from. A fuss-free option that takes all of 10 minutes (or maybe even less). Over at our flower bar, we gather the best blooms and curate them all in one place. We understand that it's hard to get a wide range of exotic and unique flowers without busting your budget, not to mention the tedious (and sometimes painful) process of conditioning the flowers. Therefore, this option allows you to choose from a wide range of flowers that are conditioned to perfection, ensuring that your blooms can last that extra mile. We wouldn't want to confine all the goodness of the floral bar to our retail space, that's why we have made this concept into a mobile one. Our portable flower bar can be set-up anywhere and everywhere, making it accessible all over Singapore. Choose to let your guests DIY petite arrangements, potpourri jars, flower crowns, or even succulent pots on the spot or get them pre-made as wedding favours. Great for weddings, parties, corporate events for that extra fluff of fun. Contact us at hello@helloflowers.sg for more information on our packages.